Does anyone remember this post: My Greenhouse Effect has Affected My Gardening? https://perceptivedelectables.wordpress.com/2012/05/11/my-lack-of-greenhouse-effect-has-affected-my-gardening/ ??? Well, I have to say I am so blessed and thankful that my husband had someone who was willing to help him lift the trusses up and place them on the greenhouse frame that was created earlier this year. Not only that- but plastic sheets were also placed! 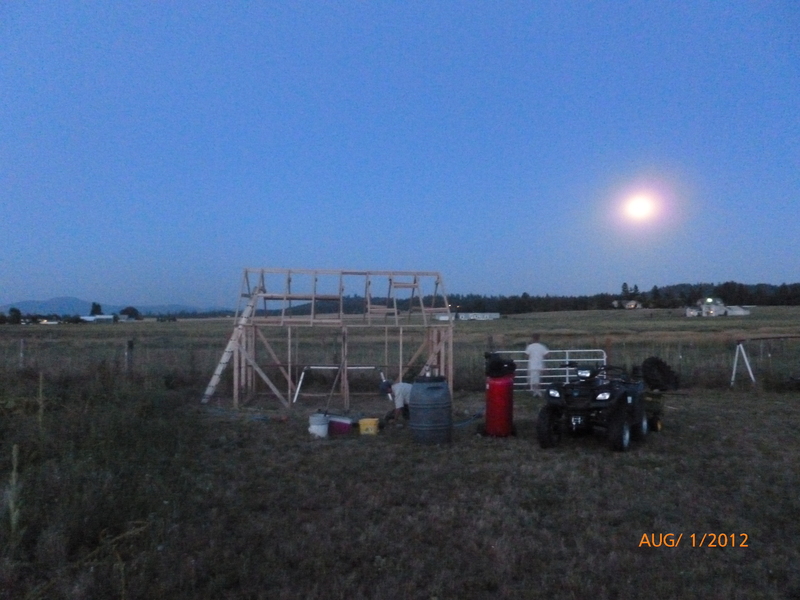 As you can see- they worked until the sun was down and moon was bright. Amazing! I am so very excited and hoping that I’ll be able to have a completed project to use for my starts next spring. I may even try experimenting with growing herbs this winter! Just had to share! PS: Any advice for my husband in putting on the finishing touches? Any advice for me in using it for my plants?